We have been on boats of all kinds: evening dinner cruises, powerboat excursions, sailboat tours, dive boats, and more! We've enjoyed diving all over the Meso-American Reef off the coast of Ambergris Caye, at and around the Blue Hole, near St George's Caye and more. Mainland Belize holds all types of adventure opportunities. We've had city tours, done zip lining and cave tubing, visited Mayan ruins, and much more. 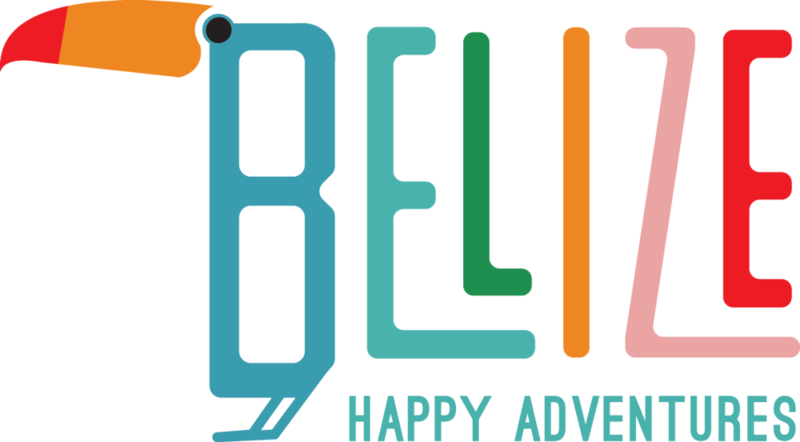 What follows are lists and links to many of the vendors and resources who we've had the pleasure of using for our many trips, tours, and happy Belizean adventures! Let us know if you have any questions or input regarding these friends of Belize Happy Adventures. The Caribbean Sea sits at our shore which is protected by the barrier reef. There are so many ways for people to enjoy the water. Snorkeling, scuba, fishing, and sailing come to mind first. Also, boat tours are also available. Spend time aboard one and you can enjoy the sights, sounds, and smells while a crew takes care of your every need. Local tours can last a few hours or all day. Longer excursions, such as going to the Blue Hole, Turneffe Atoll, or Lighthouse Reef will make for unforgettable memories! Scuba Diving - We are a boutique shop with the ability to tailor days and dives to fit your group. We offer tour options, scuba instruction courses, and three dives a day with only a short trip to all of our local dive sites. Snorkeling Tours - Mexico Rocks, Hol Chan, and Shark Ray Alley among others! Reef and Deep Sea Fishing- We provide 1/2 day or full day Reef or Deep Sea fishing charters. Turneffe Atoll Dive Trip - A breathtaking day of diving in the unmatched Turneffe Atoll.